The Buying Groups National Flooring Show is exclusive for all flooring buying group members. 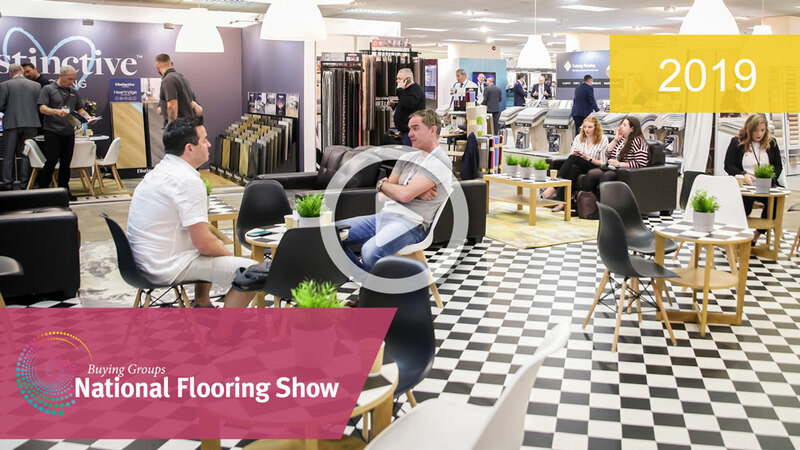 Over 60 leading brands converge at one place this May for The Buying Groups’ National Flooring Show. If you’re a member of a buying group make sure you visit to see the very latest in carpets, rugs, laminates, woods, vinyl, LVT’s, underlays and accessories. The show takes place at one of the UK’s premier exhibition venues - Cranmore Park Conference, Event & Exhibition Venue with unrivalled show facilities, excellent catering and ample FREE car parking just minutes from J4 M42, only 8 miles from the NEC. This annual coming together of buying group manufacturers and suppliers along with group members all under one roof is a must if you want to be at the leading edge of carpet innovation and developement. Most trade shows can carry products not relevant to your business but this show helps you meet suppliers who are crucial to everyday requirements and it's compact enough to pack into a day's visit. Jeanie Cartmell, Solihull Supplies Ltd.
We were invited to the show by our group...what a great show! It's also great to see fellow members and friends to have a catch up and discuss trade, comparing notes and sharing new ideas for the future. I regard the BGNFS as the best flooring show in the UK! When you're busy running your business, time is of the essence, so it's great to be able to meet with major Group suppliers, manufacturers and decision makers under the one roof over a day or two. The BGNFS is a fantastic event for any carpet and flooring retailer who are part of a buying group, with all the top suppliers under one roof in a great location! I think the BGNFS is the best and most professional show for the flooring industry. It's at the right time of the year, in a good central location... Not to be missed! The annual Buying group show at Solihull in May is one of the highlights for our ranging and promotional activities throughout the year. The arrangements for the show are excellent with lunch and coffee all available when you need a break from the show. It is an opportunity not to be missed for anyone serious about selling flooring. Copyright © 2019 BGNFS. All Rights Reserved.